This is a scholarly yet accessible 1999 biography of a pioneering dinosaur hunter and scholar. Gideon Mantell discovered the Iguanodon (a famous tale and related in this book) and several other dinosaur species, spent over twenty-five years restoring Iguanodon fossils, and helped establish the idea of an Age of Reptiles that ended with their extinction at the conclusion of the Mesozoic Era. He had significant interaction with such well-known figures as James Parkinson, Georges Cuvier, Charles Lyell, Roderick Murchison, Charles Darwin and Richard Owen. Dennis Dean, a well-known scholar of geology and the Victorian era, here places Mantell's career in its cultural context, employing original research in archives throughout the world, including the previously unexamined Mantell family papers in New Zealand. 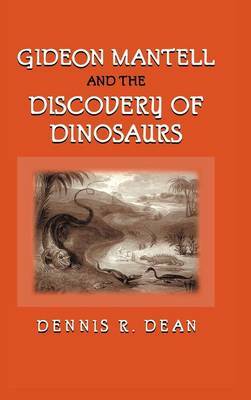 Buy Gideon Mantell and the Discovery of Dinosaurs by Dennis R. Dean from Australia's Online Independent Bookstore, Boomerang Books.